Upon arrival reception and assistance at the airport. Transfer to the selected hotel. 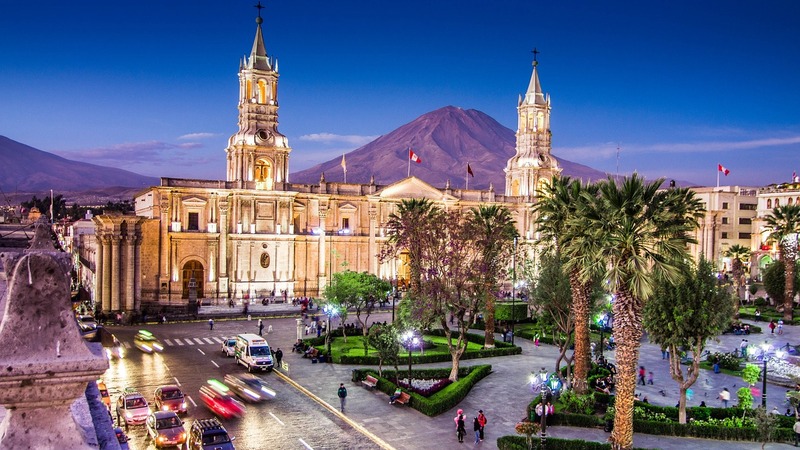 In the afternoon, a three-hour tour of the city of Arequipa, including the Convent of Santa Catalina, the Plaza de Armas, the Jesuit church of La Compañía, the Church of San Francisco, the district of San Lazaro’s, Selva Alegre. At the end and for a magnificent view of the city we will visit the typical districts of Cayma and Yanahuara. Return to the hotel. 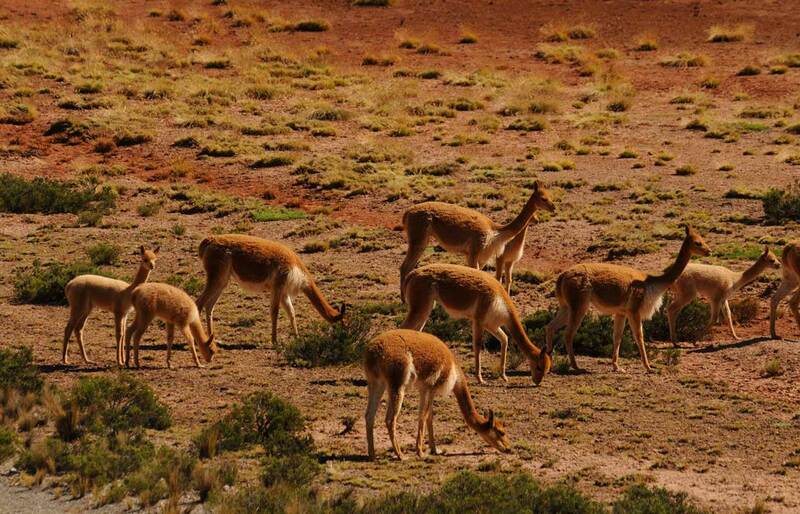 Early in the morning embark on an unforgettable midday trip by bus to the Colca Canyon, passing through Pampa Cañahuas in the Aguada Blanca National Reserve, vicuñas and alpacas (camelids of South America) habitat visiting the Mirador de the Andes, the crater of Chucura and the Mirador de Chivay where you can admire pre-Columbian terraces that are still cultivated by the native Collaguas. The highest point of the route is at 4,900 meters above sea level. Refreshment. Arrival to Chivay at 1:00 p.m. Transfer to the selected lodge. Afternoon free, option to visit the thermal and medicinal baths of the region. Full day dedicated to explore the picturesque villages of this wonderful valley, excellent opportunity to learn the traditions of the natives of the area. Early in the morning, departure to La Cruz del Cóndor, where the largest bird in the world can be seen flying in circles on the green agricultural terraces that are cultivated since pre-Inca times. 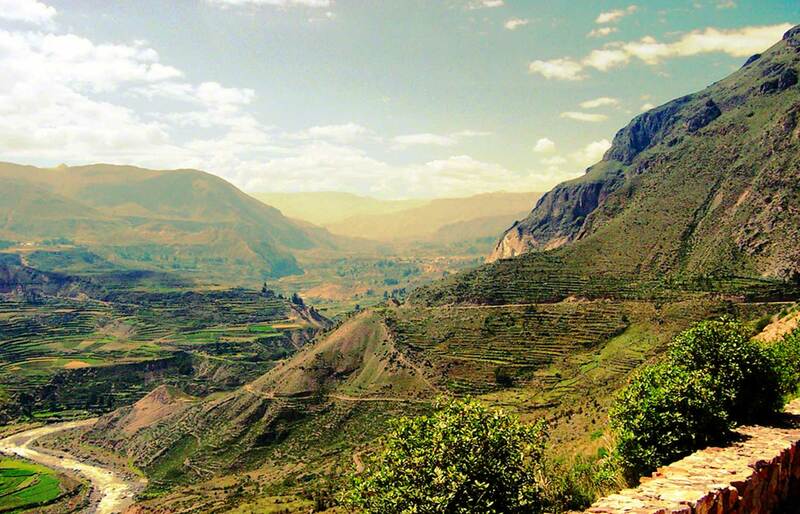 Enjoy the wonderful views that the Colca Canyon offers one of the deepest in the world (3,000 mts). Back to Chivay, visit the Chinina Viewpoint, where the famous Hanging Tombs and the Sifón Suspension Bridge that connects the towns of Yanque and Coporaque. We will continue to the town of Yanque where we will visit its beautiful church and its stone streets among other attractions. 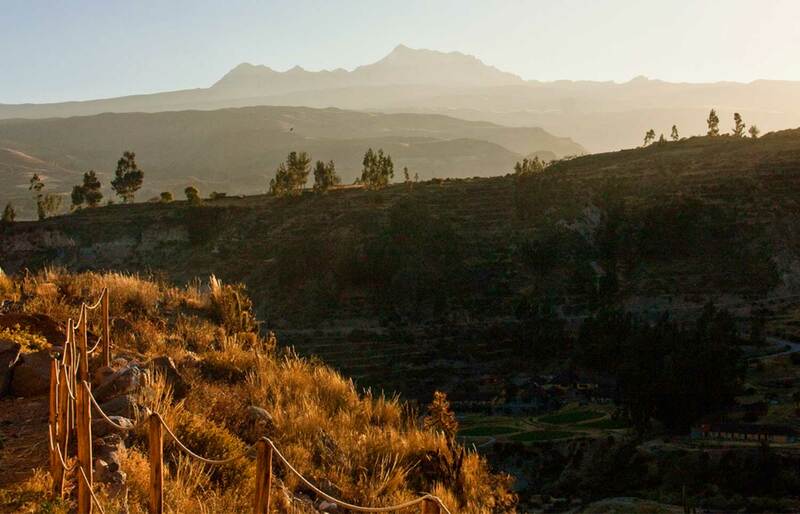 We will make a stop at the viewpoints of Choquetipo, Artahuilque and the town of Maca to observe again the Colca Valley. 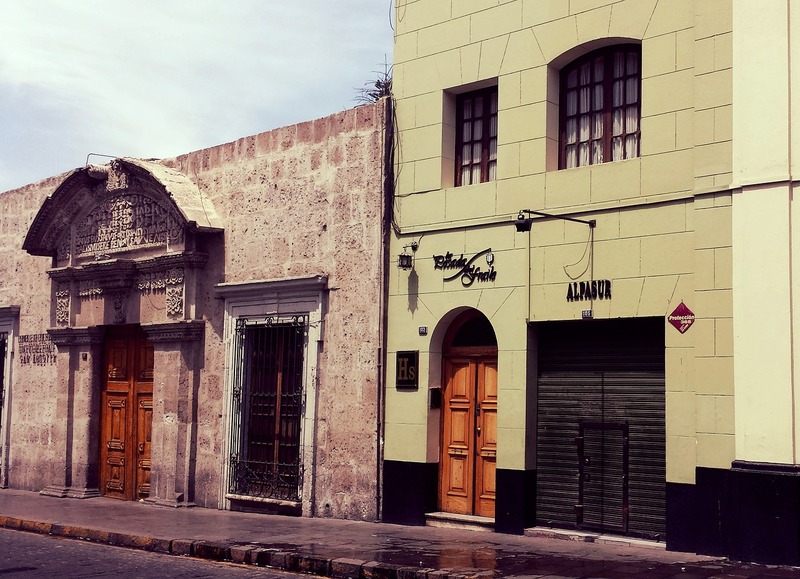 After lunch at a local restaurant, return to Arequipa arriving at the selected hotel at 18:00 hrs. approx. 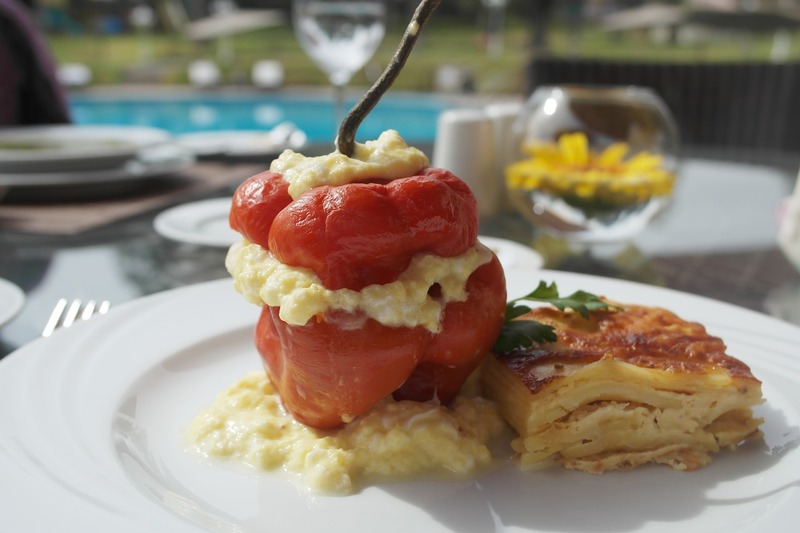 After breakfast, transfer to the airport or bus station. All our programs can be modified according to your requirements, be it duration of your tour, interests or specific activities, flight reservations or other additional destinations. 2 nights accommodation at the selected hotel. 2 nights accommodation in Chivay. Guided tours (Spanish / English) indicated in the itinerary. All tickets for the excursions mentioned above. Noches adicionales por mal tiempo o cancelación de vuelos. Bebidas alcohólicas, gaseosas o agua mineral embotellada. Llamadas telefónicas nacionales o internacionales.